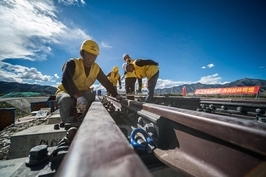 China’s rail construction boom is likely to steam ahead this year with increased infrastructure spending on subways and light rail systems, according to China Railway Group Ltd., the state-owned railway builder. The top state planning agency gave a green light for urban rail projects in several cities including Suzhou, Shanghai, Chongqing and Shenyang since last August, China Railway Group Chief Financial Officer Yang Liang said Tuesday while discussing the company’s 2018 earnings. China Railway Group expects 2019 new orders to increase at least 6.5% to 1.8 trillion yuan ($268 billion), Yang said. The group set an even higher goal of 10% growth. China has begun to speed up infrastructure spending since the second half of last year to offset slowing economic growth. Several industry insiders told Caixin that more construction approvals are expected in 2019, making it a peak year for subway and light rail construction. The government’s proactive fiscal policy and a series of tax cuts have created a better environment for construction, Yang said. China will invest 800 billion yuan in rail this year, Premier Li Keqiang said in his annual government work report in March. The goal is largely in line with 2018 spending, which came in at 802.9 billion yuan, beating the initial target of 732 billion set in January 2018. After years of breakneck growth, China’s railway investment in 2010 reached a record high of 840 billion yuan but fell over the next few years. Annual railway investment started to climb back toward the 800 billion yuan benchmark in 2014 and has stayed there ever since. China Railway Group said the company’s business in urban rail construction was hurt in the first half of 2018 after the central government halted construction of subways and light rail systems in some financially weak cities in mid- 2017 amid local government debt concerns. Until last July, no new projects were approved after a multi-billion dollar subway project was called off in the northern city of Baotou in Inner Mongolia in August 2017. The National Development and Reform Commission (NDRC) also raised the bar for approving future proposals, giving extra scrutiny to the economic and fiscal status of each city. 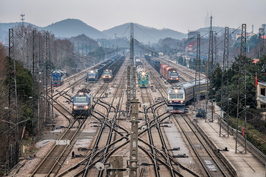 Last August, the NDRC approved the first urban rail project after a year-long suspension, in the northern city of Changchun. As a core player in President Xi Jinping’s "One Belt, One Road" global trade and infrastructure initiative, China Railway Group is also planning to boost its business abroad. 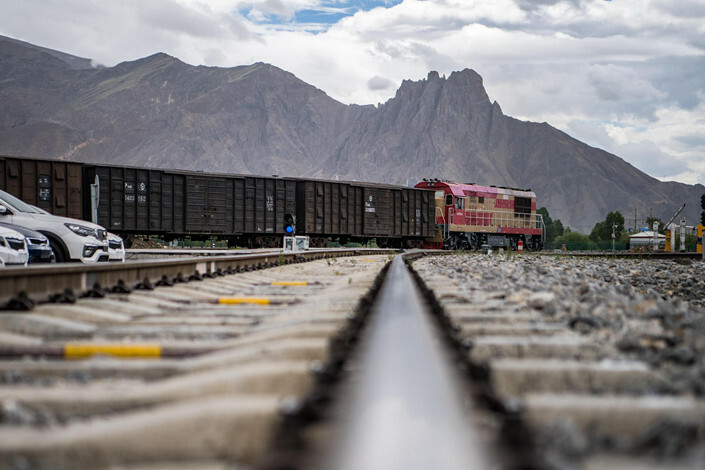 The company aims to sign $15 billion of new foreign orders in 2019, a 25% increase from last year, said China Railway Chairman Li Changjin. But Li acknowledged more uncertainty in overseas projects. Many participating countries in the Belt and Road initiative have large infrastructure needs but limited funds, which will limit construction projects, he said. China Railway Group reported net profit attributable to shareholders of 17.2 billion yuan for 2018, up 7% from 2017, on operating revenue of 740.4 billion yuan. The company expects double-digit growth in net profit this year, Yang said.